Vermilion Ohio stands at the south end of Lake Erie and has for generations been the place for the rich from Cleveland to play with their boats. 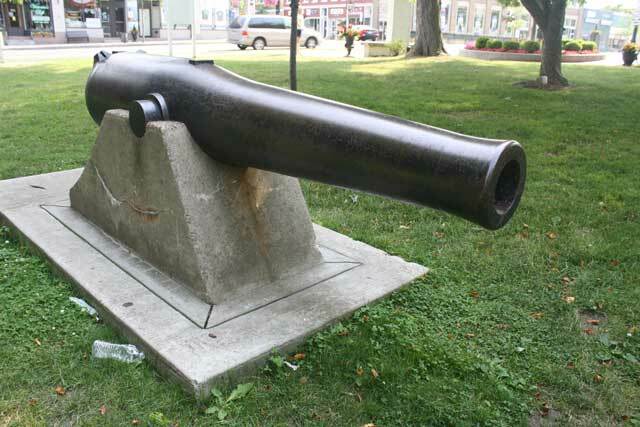 Vermilion has the traditional cannon on display in the town's Exchange Park in the center of town. A handsome pair of 32 pounder Dahlgren guns, smoothbore with the anchor signifying naval use. 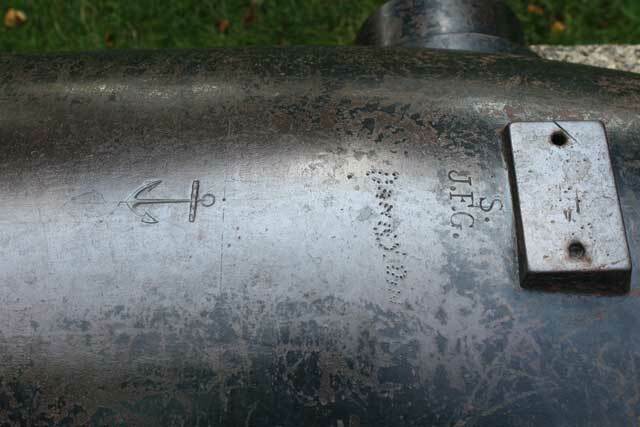 These two guns look brand new, and appear to have been installed around 1900, with the only source I could find specifying the guns were not used in the Civil War. 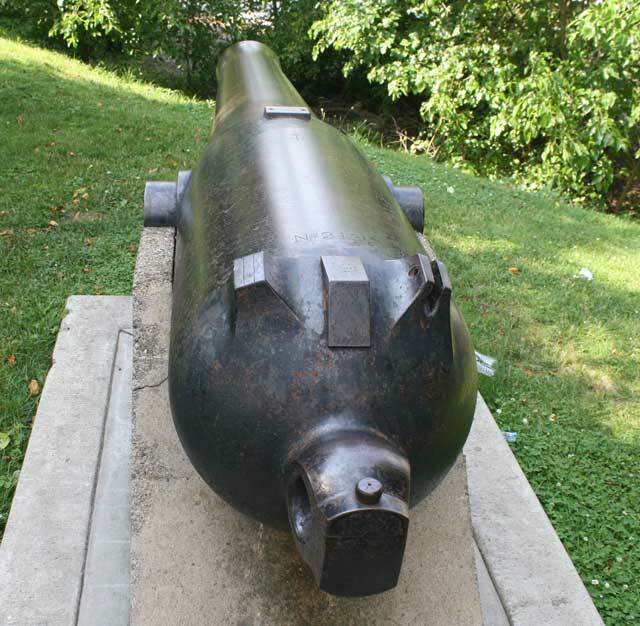 This is possible, as the last Dahlgren guns were made in 1867. The real surprise was the lighthouse. 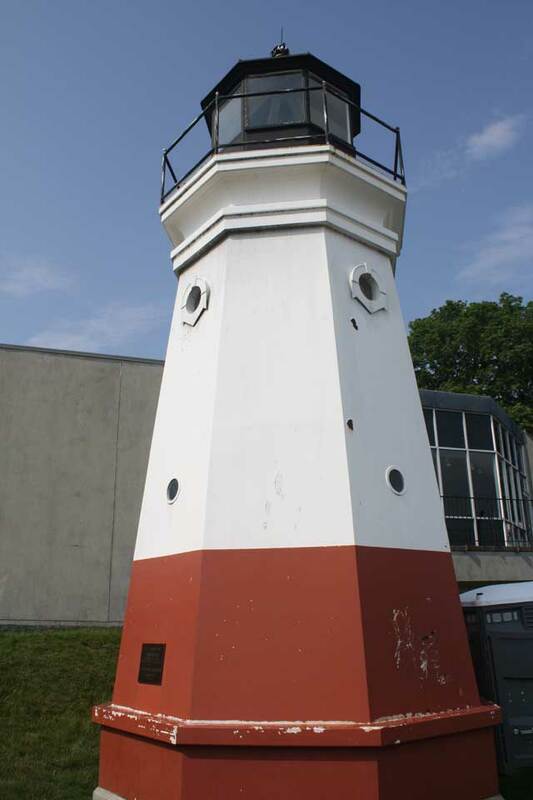 After 1877 the old wooden lighthouse was torn down, and the new one was cast out of melted down Columbiad smoothbore cannon. That lighthouse is gone to Ontario now, but a replica iron lighthouse stands on the public beach in Vermilion.